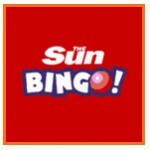 That’s right Sun Bingo is running a special where you can play some free bingo. A great offer from one of the best sites around for fabulous promotions. After all they are the ones who gave up 100 cars this last year! What will they do the rest of this year? It will be interesting to see that is for sure. So get over to Sun Bingo and play those free games to win cash. You need to get over to the Fashion Bingo Room, times are from 8pm until 10pm. Since you might have missed out on the other days this promotion was running don’t miss this last chance. You can get 10 pounds if you hit on one line, 25 pounds for two lines and the full house will get you winnings of 50 pounds. But you won’t be paying anything to play those games so that is a great offer to take part in. You do have to register for an account at Sun Bingo in order to play. But do that quickly and get there tonight for this final chance to play some free bingo for cash! But stay tuned for more great promotions this year from not only this online site but many others!